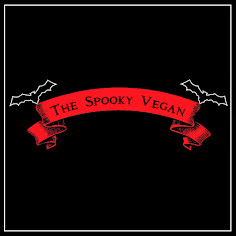 The Spooky Vegan: Target's Halloween Shirts Now in Stock! I was shopping at Target today and what did I spy? 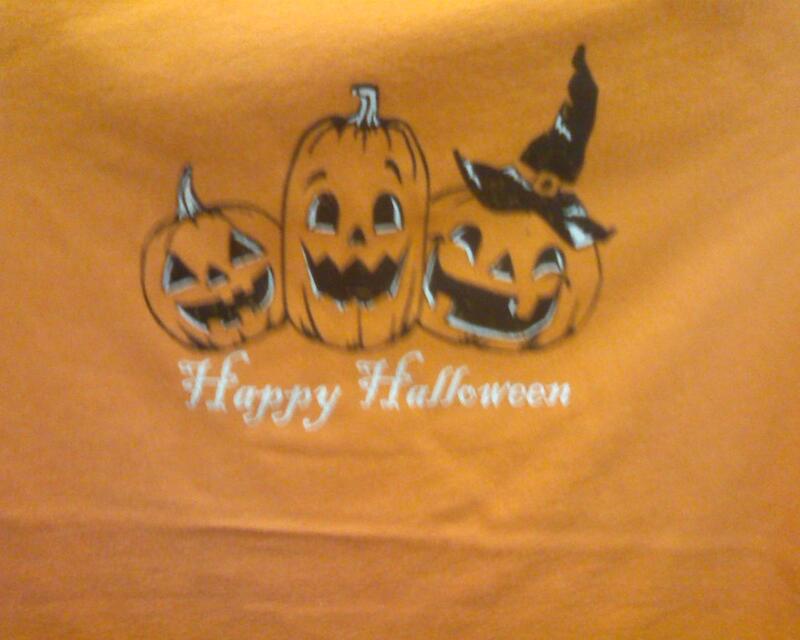 Their Halloween shirts!! 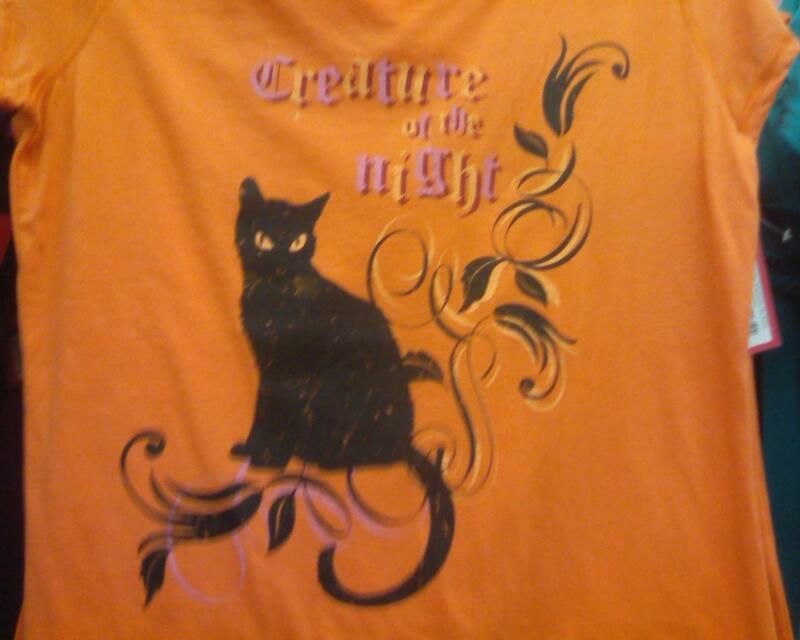 I've bought Target Halloween shirts the past couple years and just LOVE them! 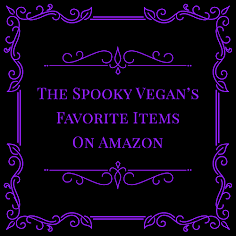 They are cheap, usually ranging in price from $5 to $10, but have lasted me years! 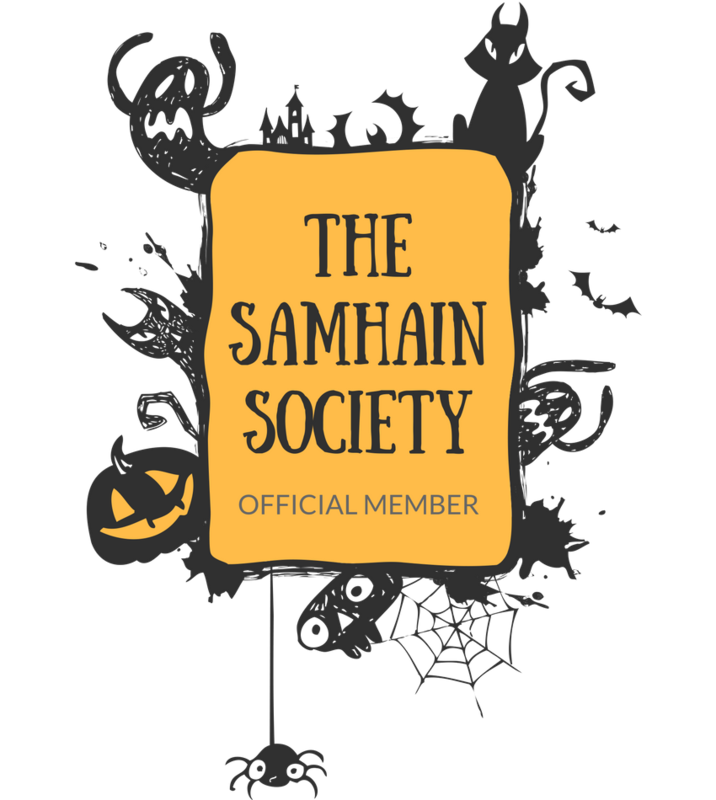 Some appear in their pj department, while others lurk in the woman's department. They also have little boy's tees that I've bought before and are usually cheaper than the ladies' shirts. I'm guessing they have guys' shirts too, but I've never looked (sorry gentlemen). 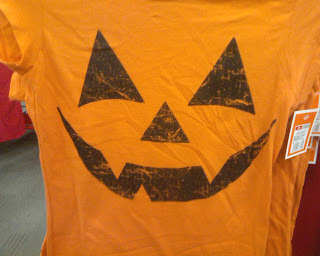 Target.com has a lot of Halloween stuff, too...I just hope they start stocking their stores soon!! The anticipation is killing me! Some of those shirts are great, especially the one with the bats and decrepit looking tree at the bottom. 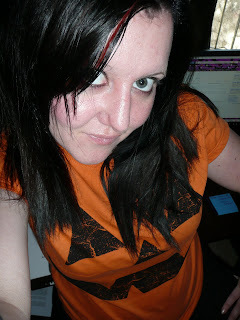 I would say that they are all quite girly, but I would certainly rock a male version of the Jack-O tee you picked up! Ot Oh! I'll have to tell my wife, she loves the target pj sets! 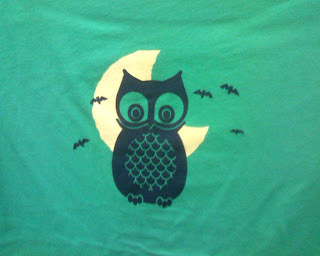 I picked up the owl on the moon t-shirt last week, and I have not yet made it back to see if they had put out more shirts! 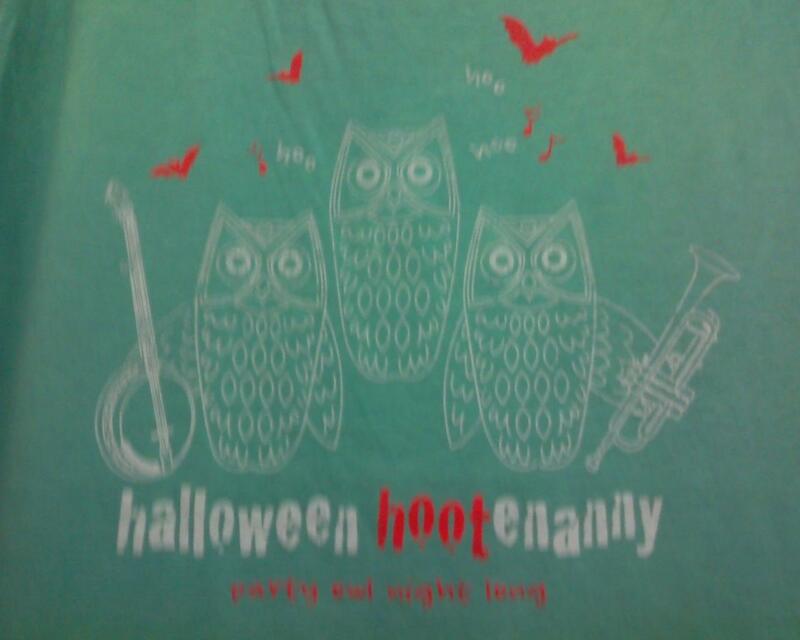 I've got to go out there tomorrow and get that Halloween Hoot-enanny shirt!! Target carries men's shirts, but the last couple of years they've been extremely lame. 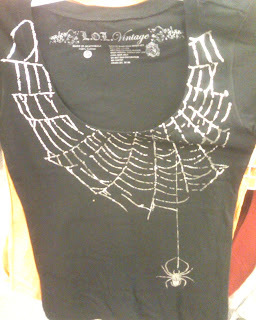 That disappoints my husband, because about 4 years ago, he got this really awesome skeleton shirt there. Seems like they had some other guys shirts that year that were pretty cool too. 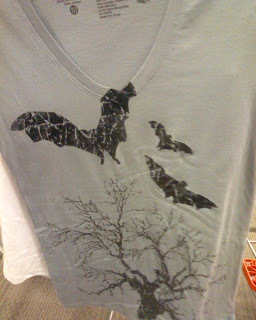 Target should start making good men's Halloween shirts again! OMG! 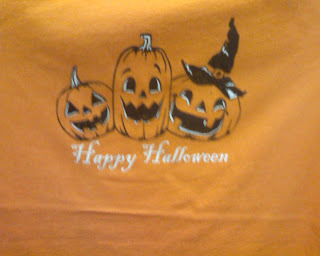 I just went to Target a few days ago, and all they had was ugly long-sleeve Halloween shirts : ( I bought the pumpkin one a few years ago, but I need a back-up. 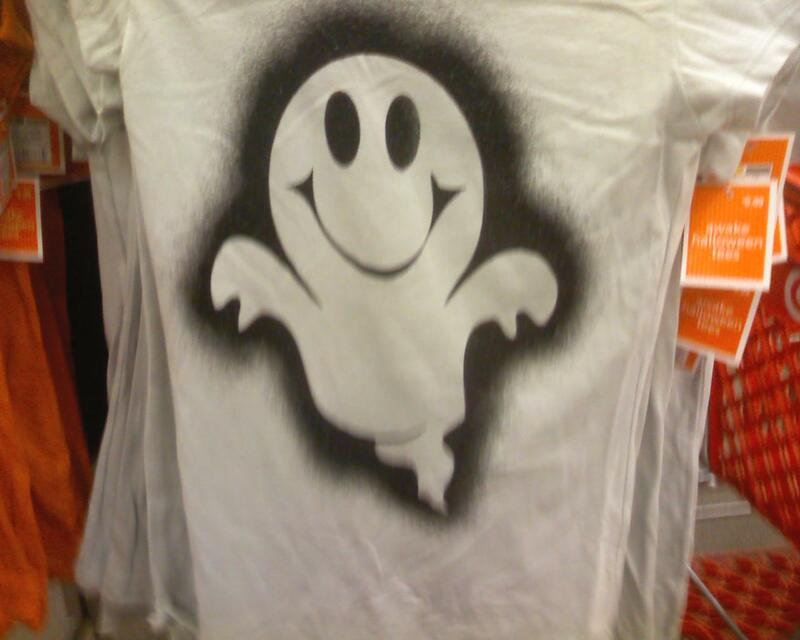 I also want that ghostie shirt! Jack o' Lantern is the best. You chose... WISELY. Thank you so much for taking photos and posting! 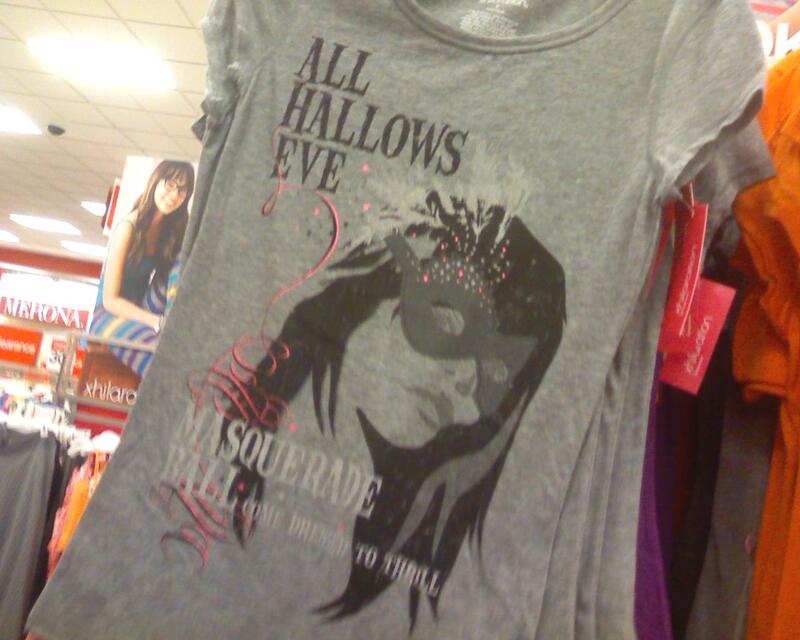 Actually found your blog by googling "Target Halloween tees" because I was anxious to see what they had in store for this year. A rather large section of the t-shirts in my closet is occupied by Target's Halloween tees. Will have to buy the 2nd and 3rd ones! Any pics of this years shirts for 2011? Will definitely post pics when I do see them! 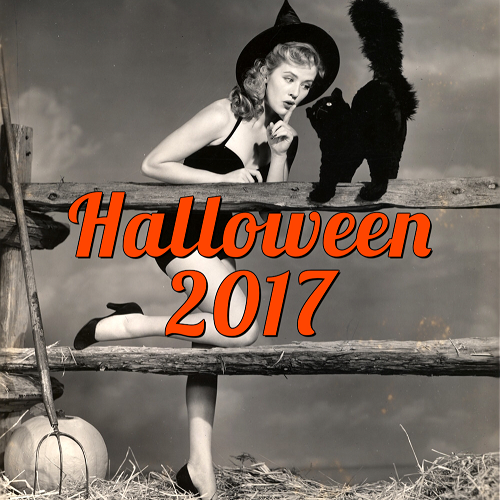 Looks like there are some cute ones this year. I like the pink shirt with the spider on it.